So, we did a Top 5 PC Games which received an overwhelming but mixed response. Which is why we’ve decided to address one platform at a time, starting with Mobile Gaming. So hang on to your hankies cos I’m not crying, but you are from nostalgia! Just to be clear, we might have missed many games which you might have enjoyed and may not have made it to the list, but yes doesn’t mean we didn’t consider the game. The platforms we narrowed it down to are based on the theme of the article “Nostalgia” and the game’s popularity on those platforms. With that particular idea in mind, we picked the following 5 Mobile Games to be featured on our Nostalgia Edition (Didn’t include Windows cos obviously). So unlike the previous article, we’re going to list the games based on the order of the year they were released to avoid time travel. With that acknowledgment, let’s look into the 5 Nostalgic Games of Mobile Gaming. If you’re a 90’s kid, chances are you have played this game for countless hours hiding under your blanket all night!! 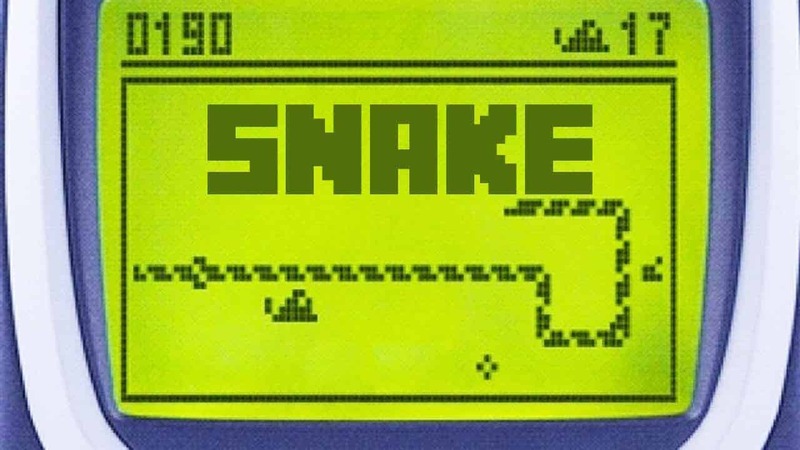 Snake is one of the most played games by people of all age groups. The game was released in 1997 on Mobile Platform by Nokia on a Monochrome Device Nokia 6610. The game was a massive hit among all. Nokia improved the game, added stages/levels with increasing difficulty. The game’s idea was very simple, eat the food, grow long and while doing so, don’t eat yourself or hit a wall. Seems pretty easy right, well this simplicity captured many people and glued them to their 2″ screens while taking a break from work. The latest version of the game Snake (2017) – was released with the Nokia 3310 (2017) and Nokia 8110 (2018) and also has been introduced to the facebook messenger. 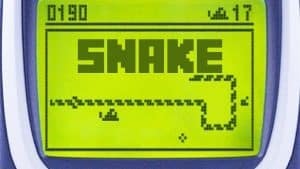 The Nokia Snake game was eventually acquired by Gameloft in 2017, for use on the newer Nokia-branded feature phones such as the 2017 Nokia 3310. You might be thinking “another Nokia game? ?” Yesss! but the title isn’t Top 5 Nokia Games. 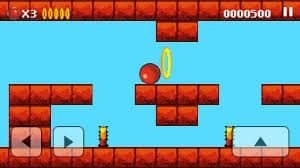 Anyway, do you remember bouncing a small ball around various stages trying to pass stages when you were a kid? Well, of course, we’re talking about Bounce. The game features a Tiny Red Ball, 2D-side scrolling world where in the idea was to pass through the rings/hoops in order to complete the stage. The Nokia 9210 Communicator (Series 80) from 2000 was the first device to feature the game. The game received subsequent updated versions and it was also pre-loaded on entry-level Series 40 handsets such as Nokia 6610 (2002), and Nokia 2600 (2004). The game had a total of 11 levels. An additional levels pack (levels 12-21) was available to download for Series 60 and Series 80 (Symbian OS) Nokia handsets. The Game is so popular that an unofficial level creator called BouncEdit was created in 2003 which allowed a personalized level to be made. Ok! Coming to the recent times, the year is 2009. 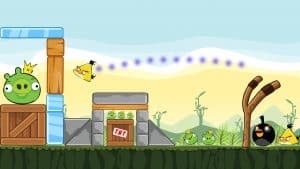 You’re flying birds through a catapult to free few more birds stuck in a cage from the grumpy pigs. Yes, my friend, we’re talking about Angry Birds. This is the first android /iOS game on this list and this is where the smartphone games frenzy actually took off. 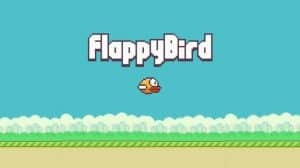 The game was developed by Rovio Studio and initially released for iOS, later was released to Android and other major Mobile OS platforms. The game also featured different types of wingless birds, each with a special power of its own to free the birds. The community’s response was so overwhelming that the studio released many versions of the game, stand-alone holiday and promotional versions of the game all for free (EA has so much to learn xD). Angry Birds was praised by critics for its success for leveraging a combination of addictive gameplay, comical style, and low price into a viable franchise with long-term potential for profit. The game’s popularity has led to the production of additional versions of Angry Birds for personal computers and gaming consoles, as well as a market for merchandise featuring its characters, a feature film and several seasons of television cartoons. With a combined tally of over 2 billion downloads across all platforms as of January 2014, including both regular and special editions of the software, the game was called “one of the most mainstream games out right now”, “one of the great runaway hits of 2010”, and “the largest mobile app success the world has seen so far”. Switching genre to Runner based games, we have the godfather of all Runner games. Temple Run makes it to the list being one of the first Runner based games, was released in 2011 by a married couple (#couplegoals). Initially released for iOS (obviously) and later to other OS platforms. The game was such a massive hit that it broke all downloads records. As of June 2014, Temple Run and its sequels were downloaded “A Billion times”. Gameplay is very simple. Its an endless running game, the player plays until the character collides into a large obstacle, falls into the water or is overtaken by the demon monkeys. Earn coins and super cool power-ups to gain an advantage in the game over the Demonic Monkeys of the Aztec Temple, Cos Run Barry, Run!! I could say I’d be criticised heavily for adding this game here over any other classic. But the number of downloads and addictiveness this game brought out when it released was too damn high to be ignored. Not exactly nostalgic, but definitely worth an addition to the list. A 2D game in 2014 that became viral over any other game, people broke their iPad screens out of frustration cos they couldn’t pass through the damn pipes. The game was such an instant, massive, viral hit that it actually had to be taken down from PlayStore. I mean what????? The game was originally released for iOS in 2013, and then to other platforms by 2014. It topped the Free Apps Chart in Jan 2014 in the US and Chinese App Store. It was making roughly $50,000 USD per day through in-game advertisements. But the game was already Viral and was causing legal issues which eventually led to the game being takedown from both Android and iOS App stores. The game was of course gone, but many eBay users sold their mobiles with the game preinstalled for over $1,499 and bids up to $90,000 USD were also received. Well, that was our opinion, do let us know in the comments if we missed any game/ any game you’d like showcased in the next article. See you guys in the next one! !